With this content deployment product, use Plone for content management and any popular Web technology including PHP, Java, or .Net for your front end. What can Entransit do for me? How much does Entransit cost? Plone is an excellent content production system: authors love it, editors love it, developers are comfortable with its flexibility and openness. Plone is the platform to produce and manage your content. But what about content delivery? What does that look like in your organization? You will have less hassle, more flexibility and better performance delivering content with Entransit. Assuring uptime for any system is hard work. And expensive. When you use Entransit to deliver content through a system that you know how to keep running, you have one less system to worry about. Who wants to wear two pagers? Search technologies like Statify, Autonomy or FAST can greatly improve content discovery on your Web site. If you've already invested in a search system, or are thinking about it, Entransit is right up your alley, making it easy to keep your search engine indexes updated when content is added, updated, or removed from your website. High performance is a critical (and often underestimated) need. Entransit lets you deliver content from a lighter-weight system, and you won't have to start performance optimizations on a whole new system. For even better performance, Entransit makes it easy to use advanced caching solutions such as Squid, RADWare, or CacheExpress. Ease of adoption at your organization is paramount. Do you already have skilled developers working with PHP, Perl, Microsoft .NET, or Java? Let Entransit bring the content to them, where they can use the development tools and technology they're already using. There is no need for all developers to learn the Plone technology stack. The Entransit Content Delivery System allows a hybrid approach to content management that creates an open source alternative to expensive mid-tier content management systems. 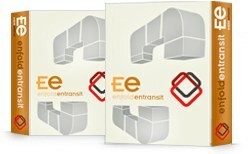 Until the release of Entransit, Plone only allowed a "suite" approach to content management and delivery. What's the hybrid approach all about? See the May 18, 2005 CMS Watch Article, Suites vs Best of Breed, which gives a business overview of these two approaches to content management. But the best part is that now, with Entransit, Plone can function in both ways. Entransit lets your organization use your technology on your terms. Pick and choose how you want to use the Plone Content Management System. What can Entransit do for me and my organization? Do you need a high performance dynamic website? Or have a development team heavily invested in traditional technologies such as PHP, Java, or Microsoft .NET? Does your system administrator wear a pager to respond to any network outage? Then the Entransit® content deployment product can provide an enormous value to you. Entransit is free and open source software. Enfold Systems is committed to open source software -- take a look at our open source page to see the many standalone open source packages we produce. (And that's just the tip of the proverbial iceberg.) Entransit is available for download by clicking on "Download" link just at the top of this page. Entransit is also available for commercial sale and support through our Enfold Server product line, including support for both Windows and Linux environments. Contact [email protected] for more information. An Entransit connector runs on a machine which has access to your production web server and database. New changes on the content-side machine are updated on the production server and database -- transactionally. If there is a failure no changes will be committed. Entransit separates the production of content (including editing, workflow, publishing) from the delivery of content. This separation results in a structured process that allows downstream systems to be updated on new, updated, and removed content - as it flows through the delivery process. Content is represented as plain text XML files on the filesystem. All Plone content is automatically made into XML without any work from a developer, and it's easy to influence the XML rendering of content in the delivery system. Add a field to content schema; update content; publish - XML in the delivery system will show the new field's value. No database changes on the delivery system or inside of Plone! Metadata everywhere! Even on binary content in the delivery system - such as Microsoft Word files, Adobe PDF files or graphics; each binary content has a metadata xml file that represents fields like Title, Description, Relationships, and any other custom metadata that you care about. Relational Databases such as PostgreSQL, MySQL, Oracle, and Microsoft SQLServer are supported. By default there is only one table called meta that keeps Title, Description, Workflow State, Path to XML, and other Dublin Core attributes such as Effective and Expiration Date. No more awkward URLs for a head start on search engine optimization. Our URIRewriter component in the Entransit pipeline rewrites UID references to relative paths in your web application. SEO experts recognize Plone as one of the best platforms for SEO and Entransit continues that tradition. Relationships among content items remain intact throughout the content delivery process. Whether it's "Related Items" or other type of Plone Reference - as you have come to expect from Plone - It Just Works. At the nuts and bolts level, Entransit is a process which accepts socket connections. Batches of changes are sent from Plone that include content that has been Added, Edited, Removed. This content is then transactionally processed though a pipeline of python scripts that you choose. Shell scripts can even be executed anytime during processing. Post processing scripts such as Xapian have been integrated to index or unindex content after Entransit completes its operations. A bonus for developers is the ease of debugging - remote exceptions that may occur during processing are viewable so you can see exactly what went wrong on the remote machine. Enfold Systems provides consulting and integration around the Entransit content delivery system with our existing product line of Enfold Server, Enfold Proxy and Enfold Desktop. Entransit is also the final stroke on the Enfold Systems product canvas -- users can drag 'n drop content into our Server product line and deploy it to any platform. From drag 'n drop to delivery our products can audit and ensure business processes occur as required to conform to internal or external business pressures. Enfold's Entransit Content Deployment version 0.9.3 has been released. Enfold Systems has worked with skilled programmers to put together some example front ends ranging from Java to .NET. These samples are open source and are meant to be used by programmers who are experienced and can problem solve if the software does not work as intended. As more sites powered by the Entransit Content Deployment infrastructure go live - we will list them here. Enfold Systems uses its own technologues - learn more about this site and its architecture. Separate support contracts are available for Entransit Content Deployment solutions. Paid support will be available through our web and email based support system. Community-oriented support is available through the community support mailing list. Please submit issues, patches, etc., to the Entransit Issue Tracker. Configuration: Requires file system access and (optional) relational database such as Oracle, Microsoft SQL Server, Postgres, MySQL 5.0 or SQLITE. Decoupled Delivery Combine the power of Plone with an independent, flexible presentation tier.